Sunday nights were always special in our home. Each week, my family would gather in front of our four-legged, wooden box of a TV to see who would be appearing on that week's Ed Sullivan Show. It was the only TV show I watched regularly with my family (assuming my homework was done). Just 10 weeks before Americans met the Beatles, our world was turned upside down on the bleakest Friday ever-November 22, 1963. With President John F. Kennedy's assassination, the balloon had suddenly popped, and very dark days and nights followed. The Fab Four were the perfect antidote, and thanks in large part to Ed Sullivan, people in America would finally see them. The Beatles appeared three Sunday nights in a row, starting February 9, 1964. Seventy-three million Americans were glued to their TVs that first night. Parents may have wondered what was going on, but if you were young enough, you knew. Over the years, I produced and directed documentary films on Elvis Presley, John Lennon, the Rolling Stones and other musical subjects. While researching these films it quickly became apparent to me that many important moments in music history had taken place on Ed Sullivan's stage. One day in late 1989, I was closing an agreement to license some of Elvis's historic Ed Sullivan appearances, and I asked the show's producer about the status of the show's library. After a lengthy negotiation, my wife and I decided to acquire the Sullivan archive. In 1990 we became the custodians of a cultural treasure-more than 1,000 hours of "Sulli-vision." Working with the Sullivan library was incredibly fulfilling and enjoyable, but every once in a while my wife and I would look at each other and say, "How on earth are we ever going to get this massive loan paid off?" Fortunately, on the night of February 17, 1991 a massive audience tuned in to our first special, The Very Best of The Ed Sullivan Show. It was half the number of viewers The Beatles had attracted a quarter of a century earlier-but for that time it was a huge rating. The show was well-received by critics and an Emmy nomination followed. We had taken the first giant step in bringing back the Sullivan show. How Ed Sullivan ever ascended to the top of television's variety show ladder remains baffling. After all, he couldn't sing, dance or tickle a funny bone. He was rather a stiff parental type. Before he became the Toast of the Town - the title of his variety show during its first five years - he was a New York City newspaper columnist with a passion for all things entertainment. Ed welcomed everyone to his stage: politicians, poets, sports idols, Broadway stars, musicians-be they rock, classical, jazz, opera, gospel, pop, rhythm and blues-as well as comedians, novelty acts, children's entertainment legends and even acts that defied any label. Ed filled his weekly showcase with something for everyone, and he was so successful at it that he became America's most powerful cultural arbiter. 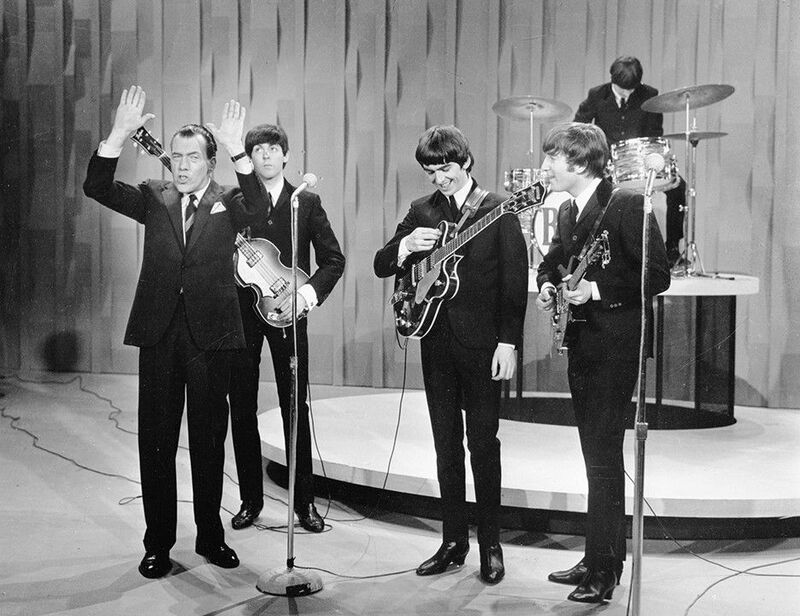 Variety shows are still a key component of our television diet, and the progenitor, The Ed Sullivan Show show, remains the longest running prime-time variety show in American television history. Many great moments occurred on the Sullivan stage, but two in particular are most often remembered today: Elvis Presley's three appearances in the mid-1950s and the Beatles' earth-shattering three-week introduction to America less than a decade later. While putting together a new show commemorating that earth-shattering invasion by four talented young men from Liverpool, I felt like the luckiest 1960s teenager alive, the one who still gets to play in the Sullivan sandbox. 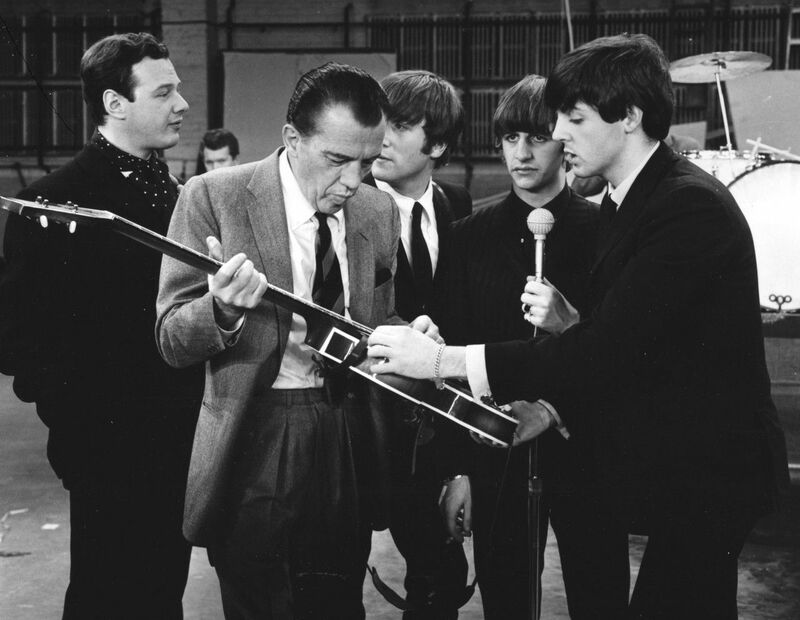 This Sunday at 8 p.m., The Night That Changed America - The 50th Anniversary of The Beatles on Ed Sullivan: A Grammy Event, which celebrates the Beatles' live U.S. television debut, will be broadcast on CBS.